This has been an active hurricane season so far. Puerto Rico and Texas were ravaged by Hurricanes Maria and Harvey. And in Florida, hundreds of thousands of property owners have filed insurance claims for damage caused by Hurricane Irma. Claimed losses are estimated at more than $4.5 billion, according to the Florida Office of Insurance Regulation. But Irma isn’t the only storm to hit Florida this season. Tropical Storm Emily appeared overnight on July 31, and parts of the state were recently touched by Hurricane Nate. The hurricane threat is one reason that all Florida homeowners should have property insurance. Here are the standard insurance policies that are available to Florida homeowners, renters and condominium owners. Always be sure you carefully review the terms and conditions of your policy and ask questions before you purchase one. 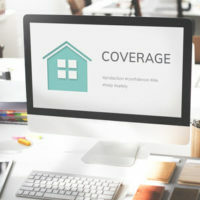 An HO-1 policy offers limited coverage to single-family, owner-occupied homes. It’s a very basic policy and not all insurance companies offer it. The HO-3 policy typically covers fire, wind, smoke and lightning damage, as well as theft. An HO-2 policy is similar to an HO-1 policy except that it also covers damage caused by falling objects, the weight of ice and snow, plumbing system leaks, plumbing system freezes, electrical damage to appliances, and water heater or heating system ruptures. An HO-3 policy is the most common homeowner’s policy in Florida. It’s also known as a Special Form Policy. The HO-3 policy broadly covers homes from all types of physical loss except for those explicitly excluded. A peril that is frequently excluded from HO-3 policies is flooding, which is why homeowners should purchase separate flood insurance policies. An HO-5 policy is similar to the HO-3 policy but it is usually offered to newer homes that are well-maintained. It also covers all types of physical loss except for those explicitly excluded. It also covers personal possessions. An HO-6 policy is similar to an HO-4 policy except that it protects condominium owners. An HO-8 policy is available for homeowners who don’t meet the requirements for an HO-3 policy. This usually applies to older homes that are more than 40 years old. As mentioned above, property owners can also purchase separate flood insurance policies. A few Florida insurance companies offer them, but most flood insurance policies are purchased through the National Flood Insurance Program, which is administered by the Federal Emergency Management Agency. Contact an Orlando insurance attorney at The Pendas Law Firm today for a free consultation if you are involved in an insurance claim dispute. We will guide you through the claims process and help you recover for your losses. The Pendas Law Firm also represents clients in the Fort Lauderdale, Tampa, West Palm Beach, Fort Myers, Jacksonville, Miami, Daytona Beach and Bradenton areas.